This weekend it was time to do something not so fun, but necessary Clean out the chicken coop. We’ve had a problem ever since we had the skunk issues and our chickens have stopped laying completely. Well, a good homesteader knows that when chickens are no longer good for eggs it’s time to find another purpose for them. 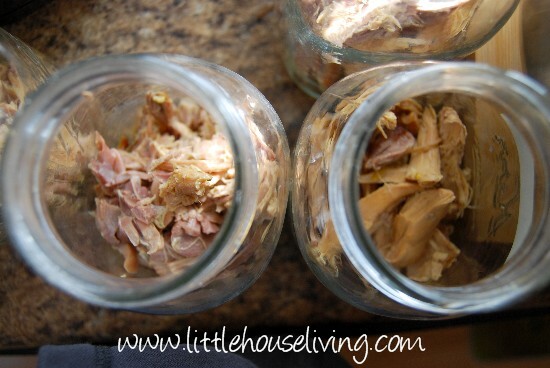 We started to do just 4 at a time to make canning chicken easier on me! So after the not-so-fun part was over it was time to get on with cooking and canning the chicken! I started by cleaning the chickens very well and making sure there were no feathers or fuzzies left on them. We cut them into pieces and put them into 2 large crockpots. I turned the crockpots on low and left them overnight (for about 12 hours, maybe a little more). After the chicken finished cooking I removed it from the crockpot and put it in a bowl to let it cool so I could de-bone it. Seriously…look at how amazing this broth is! I left some organ meats in and it made the richest broth I’ve ever seen. I buy most of our chicken in bulk from Zaycon Fresh. If you are looking for a great source for bulk chicken and other meats (for a great price! ), I highly recommend that you check them out. See my review of Zaycon here and find the latest Zaycon Fresh coupons here. 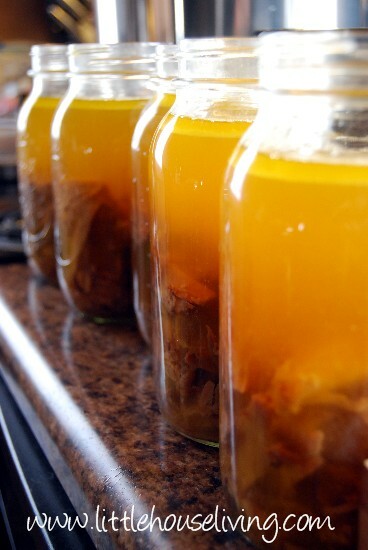 Don’t fill the jars all the way full with chicken so you have lots of room for broth. I filled mine about half way full with chicken. Fill the jar the rest of the way (leaving about an inch headspace in the jar) with the broth. If you need to, add a little bit of water to get it to the top. Clean off the jar rims and add the lids and rims. Make sure to screw the rims on tightly! Have you ever canned meat? Fabulous! I have been wondering how to do this. Now I would like to know how to can tuna. It has gotten so expensive and less inside the cans now. We live in San Diego and I need to send hubby out on a charter fishing trip. Canning meat makes me really nervous, so I usually end up freezing it. Have you ever had it spoil? I haven’t been doing it long so I haven’t had any troubles but my mom has been doing it longer and she hasn’t had any trouble either. The key is just to make sure that you cook it at the correct pressure and time and make sure it seals correctly. We’ve been canning chicken for a few years. We buy legs & quarter cheap, and can 30 pounds at a time – bones included. The bones get so soft I crush them and add to the food. I mainly use that to supplement my dogs dry food. (I have 6 dogs (4 large, 1 small, 1 miniature). We also can breasts for us. Canned chicken makes THE BEST chicken salad! We used to buy the commercial canned chicken,but don’t anymore. I try to buy store-bought canned food as little as possible, due to the BPA issues. We LOVE canned meats – it makes dinnertime so much faster, and is so convenient. Plus, we don’t have to worry about losing frozen food if/when the electricity goes out. Also we can all forms of beef. I tried this for the first time in October last year. But I prayed hard, and tried to follow everything to the letter, and it was awesome when I lined up those jars of chicken in my pantry. And then it came time to open one and actually use it. And I prayed hard! Took a leap of faith and…..it was AWESOME! I totally love having chicken already cooked in my pantry, and it makes sense to me to have the same ingredient in different forms (some frozen, some canned) to protect against loss…(electrical outage, etc). 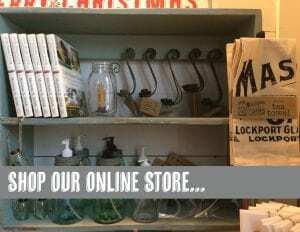 Found your site today and I’m LOVING IT! Can’t wait to check out the rest of it! 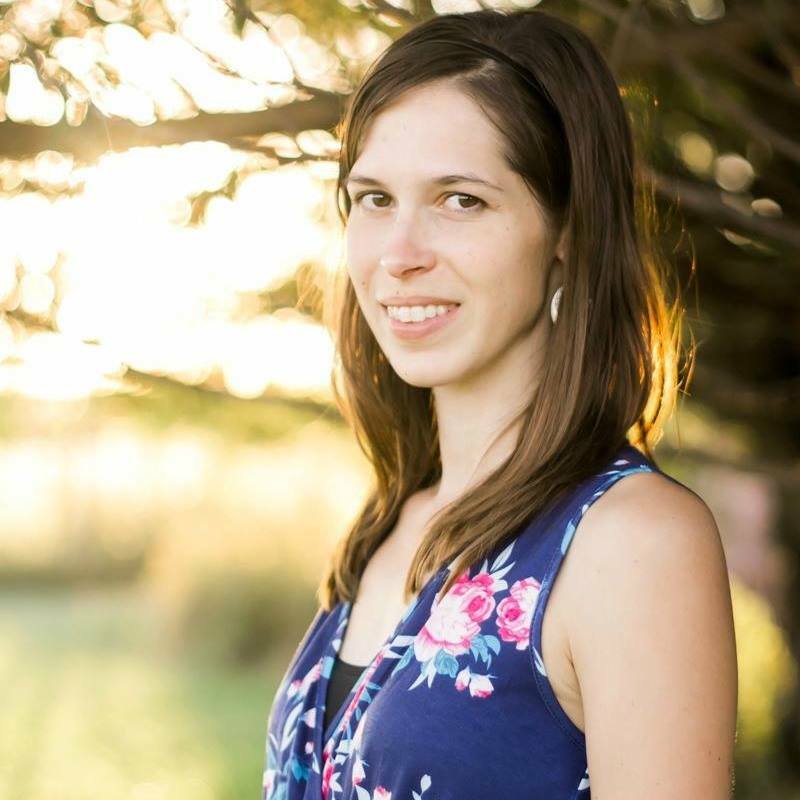 Welcome Jenn! Yes, canning these days is a little scary because it seems like there is so much “scary info” out there! People just have to remember that if they follow the correct times and temps it should all be ok! Can the chicken meat be canned raw? A small store nearby can order chicken in bulk, and now I’m very interested in canning some for the busy days of summer! Yes you can can raw chicken and raw beef, Just look up directions for raw packing meat and it will tell you the directions. Girl.. everytime I think I need a recipe for something YOU post it within a few days ..
I’ve never canned chicken (we can gallons of venison every year), but I was wondering why you cook it first? I can venison raw, don’t add any liquid, and it comes out of the canner with loads of liquid. Have you ever canned it raw? I cooked it first for 3 reasons, 1 because I wanted to de-bone it before I canned it, and 2nd because I wanted to create some really healthy broth to can it with, and 3rd to make it extra tender (since I used my own chickens that were a couple years old). What a wonderful article on canning chicken. The photos are great – makes my mouth water. I canned my first chicken several years ago after we raised a big batch of cornish cross. I, like you, thought it seemed really intimidating to can meat, even though I had canned beans, tomatoes, jams, fruit, & such for years. 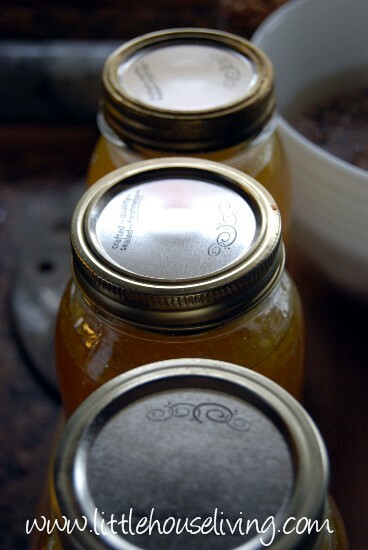 But when you follow the directions of a good canning guide, it is really a simple process. (The hard part – to me – is the butchering – so messy! )And the end result is homemade convenience food that is soooo delicious and soooo healthy, too. I would like to know how many quart jars your Presto canner will hold at once. Thanks for the great website. The 23 quart Presto (what I have) will hold 9 pints or 7 quarts at a time, but you can also buy a rack for it to double the amount of pints it can hold at one time. You can put a boiled egg in the nest box and they will usually start laying again in a week or so. We never had luck with trying anything 🙁 After we had the skunk I think that scared it out of them. When we cleaned out the chickens there were no eggs in production inside. I love your website. We had chickens until a few weeks ago when we butchered them all. Layers can have really tough meat. Does it come out of the can tender like normal chicken or is it still best to use in chicken soup and such? We have usually fed our dogs our old layers because of how tough the meat gets. Plus, you should totally do an article next time you guys butcher chickens! I’d love to see your process and how you set it up! I roast my chicken first — not completely cooked, and then debone it and set the bones aside (you’ll see why in a minute.) If you leave it undercooked, it won’t be overcooked by the canning process. Now, to make the absolutely best broth you’ve ever had, roast the bones until they are crispy brown, cover them with water, and boil and boil and boil… You’ll want to keep adding water as it boils away. After some time (you’ll have to judge for yourself exactly “how much” time), remove from heat and let cool. Then, using a scissor that is designed to cut bone, cut the bones into small pieces and boil again for a while until the bone marrow has seeped into the broth. 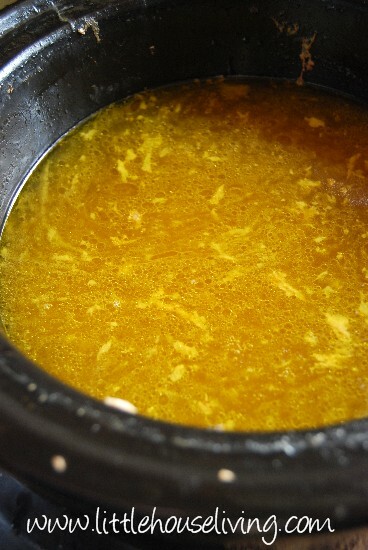 This process makes your broth gel and adds that roasted flavor that can’t be beat! Often, I season my chicken first and when you make the bone broth, you end up with the most incredible base for gravy that you could hope to make. I don’t can my broth right away; I add it hot to the canning jar and cover with the lid and ring, wait for the lid to “pop” and then refrigerate. After the fat has coagulated at the top, I use the edge of a butter knife to break the lid seal (this way you can reuse the seal), scoop off the fat, reheat the broth, and then process in the pressure cooker. I do the same with beef and pork, too. 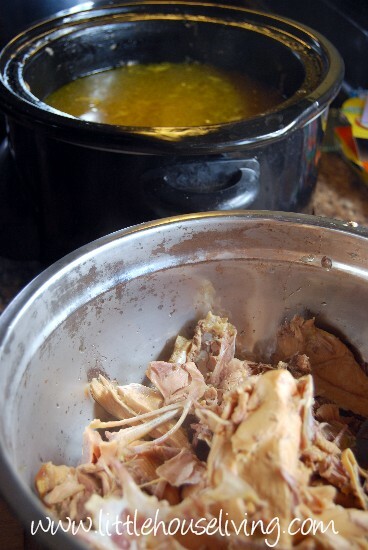 (But the thicker beef and pork bones I put in a slow cooker and cook on high until it boils, then on low for a day or 2. I turn it off intermittently to let the slow cooker rest so it doesn’t damage the interior. Yikes! I forgot to mention that I strain all of the bone fragments and marrow out before canning! 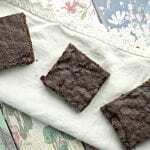 I use a permanent coffee filter or a flour sack cloth. I have really enjoyed canning meat. It makes getting meals together so much easier. I got boneless skinless chicken for a $1 a pound and canned 28 quarts today. I cut the fat off, cubed the chicken and cooked from a raw state. It makes a nice broth in the jar. I need to get more pint jars so I can do the next deal in pints. For me it is nice to have both sizes of jars to do chicken so I am ready for any recipe I want to do. I post this with a heavy haert. I lost my Grandmother on Christmas day this past year. She was a canner beyond belief. I thought and thought about spending a weekend with her so I could learn to can. Out of 8 kids and 22 grandkids no one else ever learned. I made a plan to go see her but never got to it. She passed without my learning. But thanks to blogs like this I can still try. I would like to ask probably a stupid question but how long does the meat stay good. I dont know much about canning but Im assuming it isnt good forever! Hi, I found this website after doing my first attempt at canning chicken and feeling TERRIFIED that I did something TERRIBLY wrong! 🙂 I mistakenly thought that I needed to pressure cook my quart jars of raw boneless chicken for 75 minutes, so when the timer went off, I took it off the heat to cool. About 15 minutes later, a “still, small voice” in my head cautioned me to double-check the time. 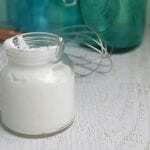 Quart jars should process for 90 minutes. Since it was still hot, I put the pressure cooker back on the stove, got it up to the right pressure slowly, then cooked again for 20 minutes. I haven’t checked the seals yet, but wanted to ask an expert – have I ruined this batch? Thanks for any help provided! The correct answer would be that the clock starts over at zero. Need to go for 90 minutes start to finish. Can’t do 75 and then 20 later on and call it good. It will probably be over cooked, but you are trying to hit a center of the jar temperature and the only safe way to guarantee that is to start the clock over. I just came across your wonderful web site while looking for advice about canning chicken soup. I loved the pictures and clear explanations! I made my very first batch of homemade canned chicken soup two days ago. The recipe I used (from the canner company) said to saute onion and celery pieces, then add chopped carrots and spices. Your instructions do not add anything except the chicken. Would you please explain the difference between the two methods, and if one is better than the other? I also add cloves, bay leaves, salt & pepper and later when serving it, noodles. 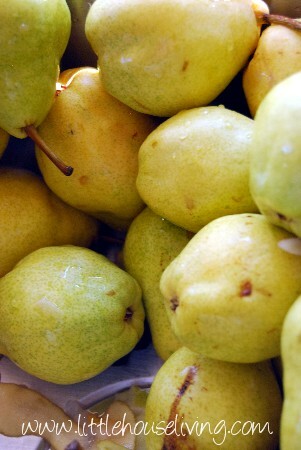 It smelled so yummy, but after canning it in quart jars, it looks awful! Your pictures looked about like mine, except mine have carrot pieces in them. Is this normal, to look yucky? I wanted to use mine as gifts to friends and relatives when they come down with colds, but my husband says they won’t use them because they look so bad. Sounds like the recipe you used we be more for chicken soup this recipe is simply chicken. I prefer to can it up this way so I can get the maximum usage from mine since I never know what I want to make with it! I think giving it to friends would be a really nice thing! Just to follow up my very first post, although the chicken soup in a quart jar looks “yucky”, I opened one last night and heated it up and added some wide noodles. It was absolutely the BEST chicken noodle soup I have ever tasted, let alone made. No more fear of it not being good. I’m in the process of making lots more! 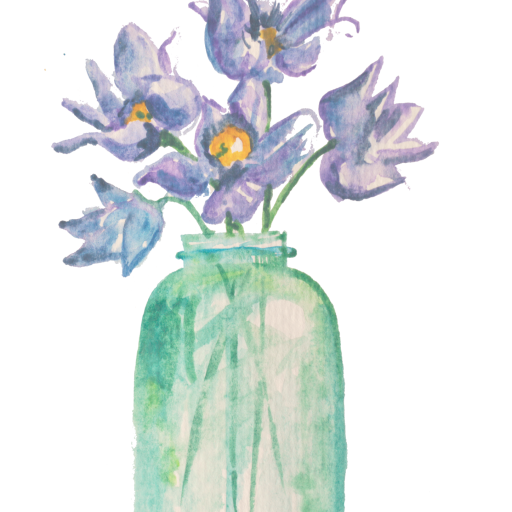 Thanks, Merissa, for your website–it is so informative. 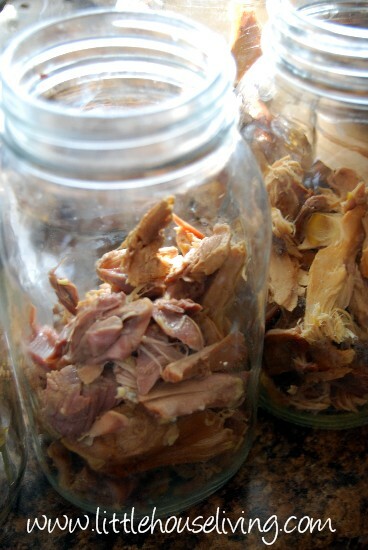 I would like to know what recipes you would use our canned chicken for–other than soup. Pasta and chicken alfredo sauce is my favorite; chicken salad; pesto chicken and pasta; chicken with pasta and tomato sauce and mozzarella cheese to name a few. Enchiladas. 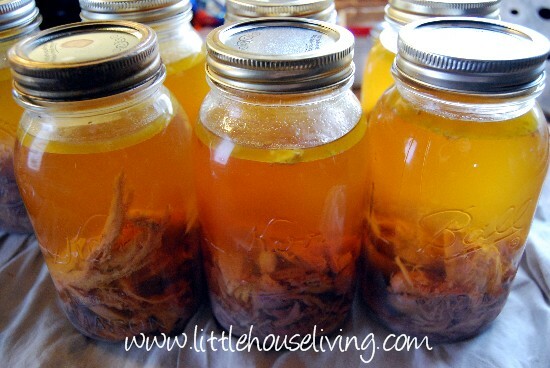 Might be a dumb question but when canning chicken do you add any broth to the crockpot when cooking the chicken? Chicken will create it’s own broth when cooked in the slowcooker. You may want to add some spices or even veggies if desired though. I am currently in the process of canning chicken. My question is did you remove the skin from the chicken when you deboned them and added them to the jar? I was wondering do you have to add so much liquid? I was planning on canning individual servings of canned meat for my husband who is a weekly truck driver and I pack him a crate of food and would love to stop buying canned meat and make my own for him but he would not be able to take cans if I have to put that much liquid. 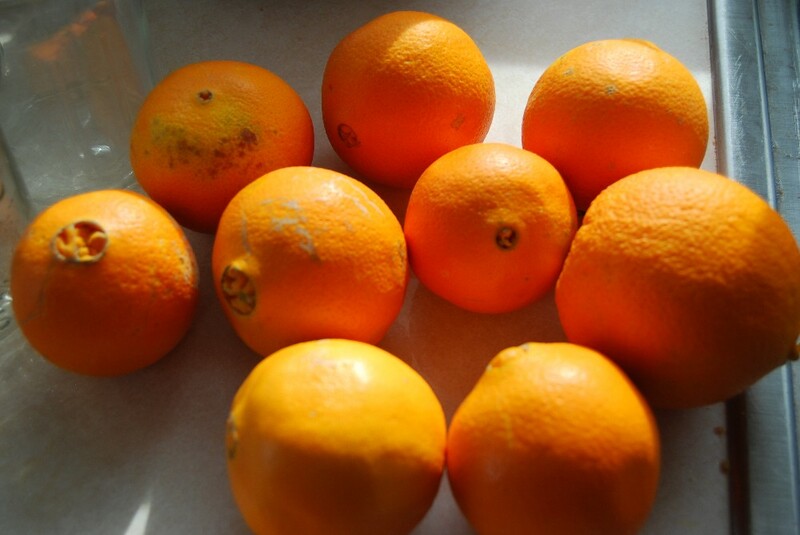 I love all these ideas, I must admit I have not canned anything yet but plan on starting with some clementines and orange marmalade this weekend and want to keep going from there. You would have to add so much liquid but we like using the broth for some many things so we like a good amount of broth with the chicken. You actually don’t need to add any liquid at all. It will make it’s own broth. It’s pretty concentrated, so you could always add water when using the meat and broth. I’ve canned chicken for the past 2 years. The first year I put legs and thighs in each quart jar, added some carrots, celery and onion then pressure canned it and it was good. The second year I baked the chicken,for 25 min, then placed it in quart jars with added celery, carrots and onions. It tasted better, baking the chicken enhanced the flavor. I tried it also by deboning the chicken but I think the bones added extra flavor to the contents. If you have a larger family (just 2 of us now) I would debone the chicken to increase the volume of chicken. This year I want to try beef. any suggestions?????? We are going to have an article on canning beef up soon. I love having chicken ready to go in my pantry. But, I can the jar full of chicken then top it off with broth. Then I can the broth that’s leftover. It’s so good to use in soups and stews. I also can beef tips, cubes, and roasts–they are delicious. Thanks for a great site! You don’t actually have to pre-cook your chicken to can it! I’ve done both, and the results are pretty similar. Just cut up your chicken into serving pieces, add some salt, and process for the same amount of time. We rotate our flock of 12 for 2 years, so each fall we have 12 layers to butcher and process. The first year, I cooked and canned, this past year, I did the “raw” pack method. You don’t even have to add liquid, just salt if want. When the pressure canning is complete, you have cooked (on the bone) chicken and about half a canning jar of broth.Don’t freak out, your canned goods do not need to be covered in liquid to be safe. It’s easy to debone the meat once you open the canning jar. It practically slips off. One note to those who have not canned meat before, it does smell kind of funky, but tastes great! We use it for soup/ mexican food, pretty much anything that you’d use precooked chicken meat for. And it makes the 2 year old layers pretty tender too! this is the ost awesome website1 sounds crazy maybe but the name got me first because I love Little House on the Prairie! My kids aways laugh at me but I think we all need to go back to those values they had then. canning was a way of life . Eat what you grow or starve. No GMO”S or other stuff n he food. Thank you!!! i have been canning veggies for years, but never meat. been reading about canning chicken. one book said you only put 2-3 inches of water in the pressure canner ? i always completely cover the jars when i can veggies. which is right for canning chicken? When using a pressure canner (no matter what you are pressure canning) you only place a few inches into the bottom of the canner (how much will depend on your model of canner). 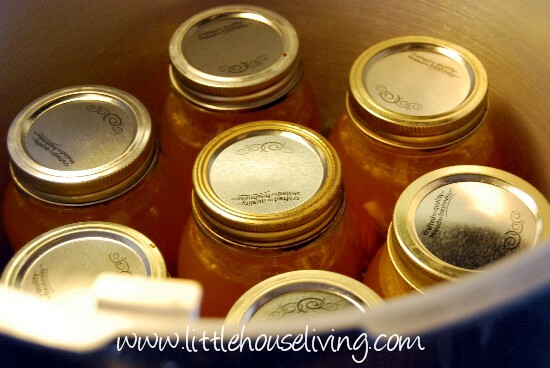 The water is needed to build up pressure, not cover the jars like when you are water bath canning. I highly recommend the book Putting Food By to learn more about canning practices. Hi! Im new to the site and loving it! I’m wondering two things… 1- can you can plain chicken (with no liquid) like you can get at the store, but without the added stuff. And 2-(unrelated) can you freeze plain cucumbers with the brine? Maybe like you did with summer squash? Thanks so much!! Sorry, I meant…freeze cucumbers without brine…oops! 1 of my quarts of chicken lost about 1 1/2 inch of broth. Lid sealed buy some chicken uncovered by broth. Will it be safe to use? Yes it is safe… You probably did not leave enough head space and had some leakage during canning. I never used to measure my head space, but had this happen so often that I have started measuring each jar with one of those handy head space tools. I like the look of everything being uniform on the shelf! sorry, mistake typing, but lid is sealed. As long as the lid is properly sealed from the pressure canning it should be ok but if you are unsure I would eat it up now. Hello do you think i could just put the chickens in crokpot whole? I always cook my chickens whole in the crock pot, if they fit.